Indian Revenue Service (IRS) is the service under Grade A of the Central Civil Services of the executive branch of the Government of India. This service functions under the Department of Revenue in the Union Ministry of Finance. IRS comprises two branches - IRS (Customs and Central Excise) and IRS (Income Tax), which are controlled by two separate statutory bodies, viz., Central Board of Excise and Customs(CBEC) and Central Board of Direct Taxes(CBDT) respectively. The Central Board of Excise and Customs (CBEC)is the national agency responsible for administering Customs, Central Excise & Service Tax in India.Central Board of Direct Taxes(CBDT) administers a number of Direct Tax Acts, namely, the Income Tax Act 1961, the Wealth Tax Act 1957, the Gift Tax Act 1958, Interest Tax Act 1974, Securities Transaction Tax Act 2004, Banking Cash Transaction Tax Act 2005 and Fringe Benefit Tax Act 2004, etc. IRS department is India's premier financial agency, responsible for a wide variety of financial and fiscal matters. It is concerned with the collection and administration of the various direct and indirect taxes accruing to the Union Government such as Central sales tax, stamp duties, gold control and foreign exchange. The main work of the Central Board of Direct Taxes (CBDT)is assessment and recovery of direct taxes. Besides Income Tax, the board also has specialised branches such as Revenue, Legislation and computerisation, Personnel & Vigilance, Investigation, Audit & Judicial dealing with investigation of tax evasion, recovery, statistics, and so on. Central Board of Excise and Customs (CBEC) deals with the collection of customs and central Excise duties, prevention of smuggling and administration of matters relating to central Excise and Narcotics. The board has subordinate organisations, including Custom Houses, Central Excise Commissionerates and the Central Revenues Control Laboratory. 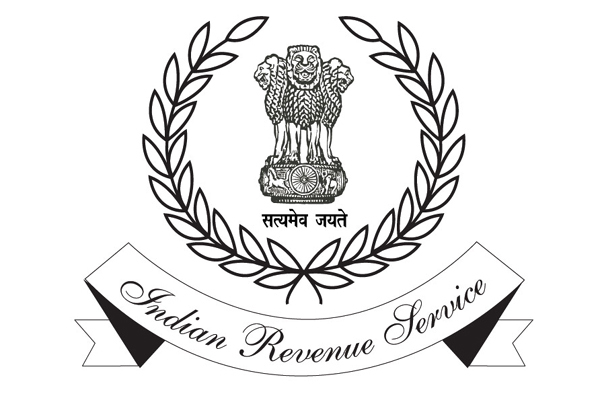 An IRS officer is the fourth most respected officer of Civil Services after the IAS’s, IPS’s and IFS’s. IRS officers are the tax administrators of India. They are concerned with the collection, administration and policy formation of direct (Income, Corporate, Wealth, FBT etc.) and indirect (Central Excise, Service Tax and even Customs Duty) taxes. These officers hold the responsibility of having a check on the proper collection of revenue through taxes which is a big source of income of the Government both State and Central.